In RepairDesk you can easily edit an existing Purchase Order (PO). You can view, edit, delete or clone a PO along with adding a payment to an existing PO, printing it, downloading as a PDF file and send via email. 1. Go to Inventory >> Purchase Order. 2. Click on the Action button against a PO to view the following options such as View, Edit, Delete and more. 3. When you click 'View', you will be redirected to the page where you can view the order with all of its details. 4. When you click on 'Edit' , you will be redirected to the editable form of the purchase order, where you can make the necessary changes. 5. In order to delete a particular purchase order, you need to select 'Delete' option. 6. You can also clone/replicate a particular order by choosing 'Clone' option. 7. 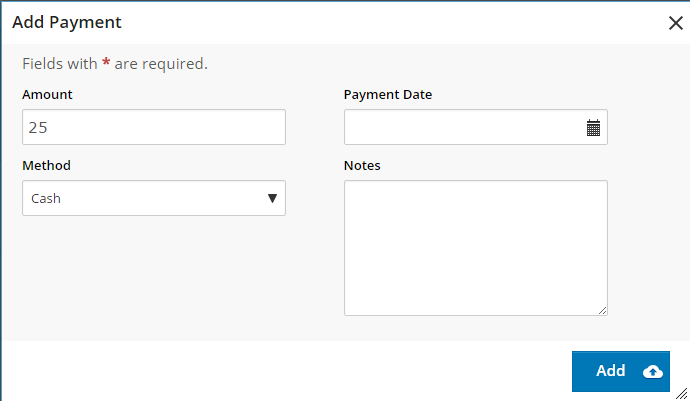 'Add payment' option will allow you to add a payment for an existing purchase order. Select the amount, payment method, payment date and write any note for this particular payment. 8. 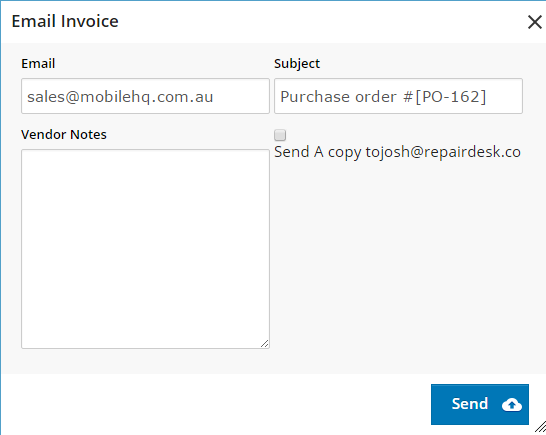 Click on Create GRN option to create a Goods Receiving Note against a Purchase Order. To know more about GRN, please click here. 9. You can also print the purchase order or even export it in PDF format for your record. 10. By clicking 'Send', you can send the purchase order to the vendor. Write the email address, subject line and notes to send PO to vendor as an email. You can also enable the checkbox to send a copy to yourself as well. 11. Click on Checkout with ReVamp Wholesale to purchase real time items from ReVamp Wholesale. Q. Can I update the quantity in purchase order once the ordered items are received? A. Once the ordered items are marked as fully or partially received through Goods Receiving Notes, you cannot change the quantity in purchase order against which GRN has been created neither it will allow you to delete the item which is fully or partially received through GRN.